Tarim, Yemen - The sun rose towards its zenith, baking the Hadhramaut Valley below in a scorching 40º heat. The afternoon was no time to be in the market; still Nu’man hunched over a cart under the blazing sun, running his fingers through a pile of sesame seeds. Humus was his mother’s specialty and she demanded the whitest seeds. Nu’man examined the pile hunting for any discolouration that might disqualify them. Habib, the vendor from Mocha (Yemen) watched the teenager with amusement. He leaned against a pole holding up his stall’s canvas and stroked his beard. Nu’man’s frankincense misbaha (prayer beads) wrapped around his wrist caught Habib’s attention; the beads gave off a sweet scent. He must be a Sufi, thought Habib. “Boy!” he called out to Nu’man, who lifted his head and peered up at the vendor. “Who wants to know?” Nu’man responded. Ignoring the question, Habib reached into a small sack, scooped up a handful of green coffee beans, leaned towards Nu’man with the palm of his hand at eye level and went straight into his sales pitch. “What do you know about my dhikr sessions?” Nu’man shot back, irritated. Pointing at the sweet scented misbaha wrapped around Nu’man’s wrist, Habib smiled and leaned back. He nodded his head. “Trust me... I know about your dhikr sessions.” He closed his hand into a fist and poured the green coffee beans into Nu’man’s surprised hands. “Take these. They are a gift from me.” Habib may have been a simple merchant but he knew his customers well. Nu’man had been struggling during his dhikr sessions. His fellow Murids (students) would have amazing visions but all Nu’man would get was a sore back and cramped knees. Maybe this was the magic elixir he needed to push him over the top. He studied Habib’s face trying to decide if he could trust the man with the soft eyes and ivory white grin permanently tattooed on his jet black face. He pocketed the coffee beans. Nu’man paid for the sesame seeds, turned and walked away briskly. Habib, called “Remember if you want more I have plenty here.” without turning Nu’man simply waved with the back of his hand and kept walking. Coffee a beverage for the pious? 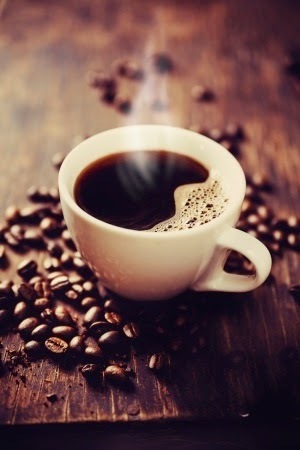 For coffee drinkers, the day cannot begin without a cup of coffee. For the pious Muslim over eight hundred years ago the night could not begin without a freshly brewed cup of coffee. Coffee was the power drink of the pious. For the first 300 years after it was discovered, coffee was closely associated with Muslims, in particular the Sufi’s. Believers consumed coffee to stay awake during the night in contemplation of Allah. Although Muslims may have discovered the coffee “drink”, the Ethiopians were aware of the coffee bean’s energizing effects much earlier. The wild flowering coffee plant grows in the jungles of Ethiopia. The edible cherry it produces holds the sacred green coffee bean, which is the second most traded commodity in the world after oil. The Ethiopians chewed this bean. The concept of coffee as a beverage arose in the port city of Mocha (al-Mukha), Yemen by a Muslim. It’s unknown exactly when the coffee plant jumped across the Rea Sea but it reached the port of Mocha about a thousand years ago. After this, all coffee plants around the world originated from Yemen. These plants gave birth to the global coffee industry and the vast majority of coffee plants outside Ethiopia share the same Yemini genetic code. The story of coffee brewed in a liquid form is linked to Umar al – Shadhili, a master of the Shadhili Tarika (order). There are numerous stories associated with his discovery. Some say he discovered the powers of the plant while out in the wilderness and others say he observed the Ethiopians drinking coffee and brought the habit back to Mocha. Whatever the story, Umar al – Shadhili introduced coffee as a drink to help his students during their nightly dhikr sessions. Dhikr sessions are popular among Sufi’s. 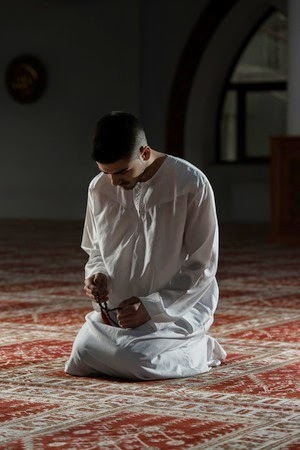 The name of Allah or a du’a (prayer) or a verse from the Quran is repeated over and over again so the belief in the oneness of Allah penetrates the heart. This can be done at any time but many Tarikas spend a portion of the night in dhikr. Because of this habit, coffee spread like wildfire among the various Sufi Tarikas. Between the years 1200CE & 1500CE Sufis wandered the Arabian Peninsula and used coffee during their dhikr sessions. Once coffee spread to the general population, the Yemenis cultivated the land to support this stimulating elixir. This started near the city of Taiz and Ibb in southern Yemen on the legendary Nasmurade Mountain (Nakil Sumara) or Coffee Mountain. 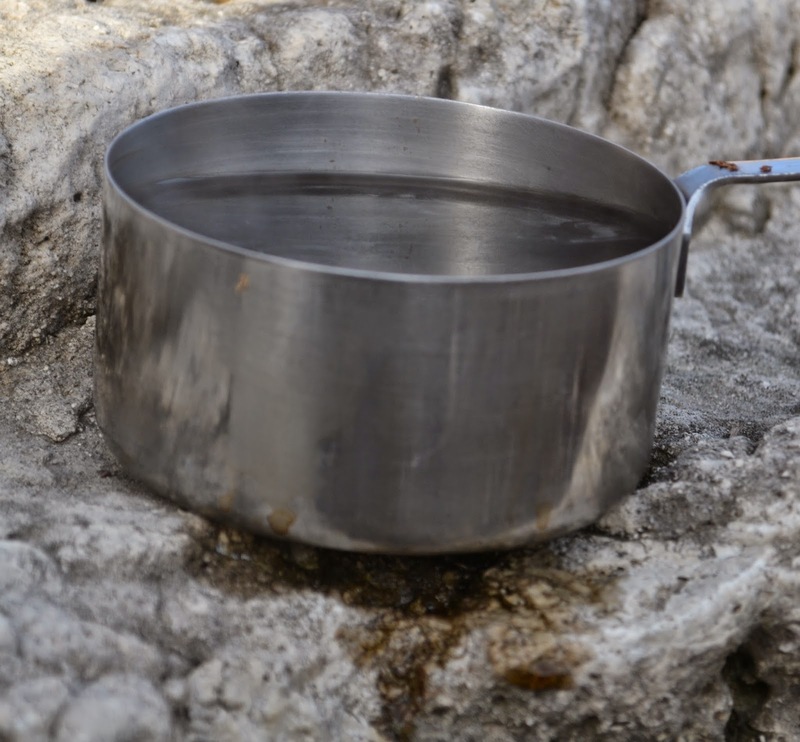 A small flame burned under the pot of boiling water; time to add Habib’s ingredients. Nu’man followed his instructions carefully. Cringing, he grabbed the bowl with both hands and as he raised the bowl he could smell the sweet aroma emanating from his concoction. The dark liquid may look evil but it smelt heavenly. “QAHWAH !! !” he said as he spit out the bitter tasting liquid. His whole body shuddered as he turned his face away from the bowl in disgust! He stared at the dark liquid, unsure of what he should do; but he was out of time. His Shaykh would start the dhikr session soon and he had a 20 minute walk to the mosque. Shaking his head, he mumbled this better work and forced down the hot brown liquid he called “qahwah” as quickly as he could without burning his tongue. He made a mental note add cardamom in the future and grabbed his Quran, misbaha and ran out towards the mosque. Qahwah is the Arabic word for coffee. Every language has merged “Qahwah” into their vocabulary to describe this drink. According to medieval Arab lexicographers, the word qahwah was in common use prior to the consumption of coffee. It meant to make something repugnant or lessening one’s desire for something. 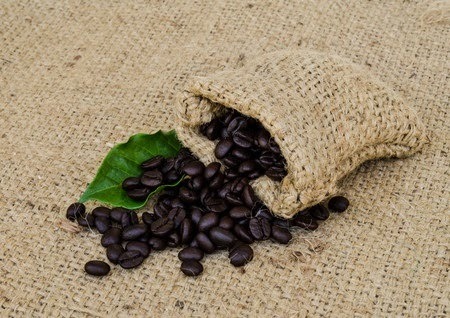 In the early years, raw green coffee beans were used to make coffee which made for a bitter tasting brew, and it is probably the reason why qahwah was used to describe this broth; roasting came much later. Roasting coffee beans releases the oils giving its unique taste and aroma. Nu’man reached the mosque just after dusk. He didn’t feel any different. Was Habib playing games with him? Nu’man thought. He took his spot to the left of his Shaykh’s chair in the third row and sat crossed legged, waiting to get started. Others took their spots. The ones in the first row were the Shaykh’s favorites. His Shaykh entered and sat in the chair facing the students. He opened with a dua and gave the instructions for the dhikr session. He warned his students that a dhikr session such as this should only happen in the presence of a Shaykh. It was dangerous to do this without a person of knowledge and then he started. The students started to recite and Nu’man along with them. At first they were all in unison but eventually broke off into their own individual recitation. Nu’man focused on an empty room with a door as his Shaykh had taught him. He kept reciting the dhikr loudly with his eyes closed. He marveled at his level of concentration. Usually at this point he would start to notice his sore back and cramped legs but the strength of his focus on this night impressed him. He started to lose focus of his surroundings in the mosque and immersed himself in the empty room in his mind’s eye; four bare walls and the door in front of him. He’d been here before but that door never opened. Usually sleep overcame him but this time it was different. Suddenly the room in his mind’s eye went silent as if someone closed the door to a sound proof room. He could hear the ringing in his ear. The door knob wiggled. He never reached this point in previous sessions. He felt a chill over his entire body, his concentration grew intense. He had to walk through that door today! Even his Shaykh noticed Nu’man way back in the third row. The door inched open and light poured through the crack. He wanted to reach out and force the door open but he couldn’t. This was a mental exercise. The door opened enough so that he could slide through but he could not command his body forward. The door kept inching open and finally he took a step towards the opening. The closer he got the faster the door opened until he passed through and into a different realm. Coffee became popular among the various Sufi orders and the stimulant spread across the Arabian Peninsula. It was largely confined to the areas around the mosque because it was drunk before these dhikr sessions. But the spread of coffee would remain confined to the Arabian Peninsula until the Turks came knocking. The port of Mocha was conquered by the Turks in the 1400’s and once they were introduced to coffee, the Turkish Sufi orders spread it across the Middle East and North Africa. One may have the impression that the spread of coffee was peaceful and seamless but this was not the case. For the first few centuries, great controversy surrounded the consumption of this stimulant. Several times a concerted effort was made to declare coffee an intoxicant, forbidden by Islamic law. Fatwas were issued against coffee. Several reasons were given; first it was an intoxicant and so, like alcohol, forbidden; second, it was roasted to the point of carbonization similar to fermented drinks, which are prohibited under Shariah Law. But coffee is not a fermented fruit beverage. The argument in defense hinged on the Hanafi principal, which stipulates that anything that is not explicitly forbidden by the Quran is permissible. Moreover while coffee had psychological effects on the mind the traditional Islamic definition of intoxication ‘is when one is incapable of differentiating between a man and a woman or the sun from the moon; which coffee did not induce. These arguments failed against the authorities and coffee was banned. The first suppression occurred in Makkah on June 20, 1511. The ruling was reversed only to be reinstated in 1525 followed by Cairo in 1539. Nevertheless, the spread of coffee continued. As coffee became more and more popular it moved into the secular sphere. Mosques competed with coffee houses for patrons. In 1555 two Syrians Hakm and Shams opened a coffee house in Istanbul. Although coffee houses existed in Persia, this was the first truly secular coffee house. And they spread across Istanbul. Even Sufis complained that the religious aura of coffee ceremonies were being replaced by people joking, smoking, gossiping or watching cheap puppet shows. In the 1600s, as coffee houses spread throughout the Ottoman Empire, a second round of coffee suppressions started. But instead of a religious dimension, they were driven by purely secular reasons and they were brutal. The Ottoman Sultan Murad IV realized that coffee houses were a place where sober people discussed the affairs of the administrations and in many instances accused government officials of corruption or the Sultan’s policies as inept. He feared that coffee houses would become sources of insurrection and to prevent these plotters from overthrowing his Sultanate, he banned them. Coffee houses were burned to the ground and anyone caught with a cup of Joe suffered a brutal end. This ban continued until Sultan Murad IV passed away. The consumption of coffee spread far and wide, eventually reaching the borders of Europe. Coffee reached Venice in 1615, which had trade links with Istanbul, and slowly made its way West towards France and England. However, coffee was not grown anywhere outside of Yemen (except Ethiopia). For hundreds of years coffee was a Yemeni product and the port of Mocha would be full of ships loading coffee beans to take back to their home countries. The Yemenis closely guarded their prized possession. All coffee beans prior to export were first soaked in boiling water to render them infertile and anyone caught attempting to smuggle green coffee beans out of the country was beheaded. Unfortunately for the Yemenis, entrepreneurs all over the world started to notice the potential of this crop and the rewards far outweighed the risks. who brought back green coffee beans from his pilgrimage to Makkah. During the early 1600’s, green coffee beans were smuggled out of Yemen and planted in the new world (North & South America). It would take a hundred years but they would start to produce coffee beans in large enough quantities to surpass Yemen as the leading exporters of coffee beans to Europe. By the end of the 17th Century, coffee drinking had spread all over Europe and coffee beans became a major cash crop and continues to this day. Nu’man walked in a daze towards the market. It was another scorching day, but he had to see Habib. He would never forget his experience from the night before; he belonged to an exclusive club now and he might even get the privilege of sitting in the front row. Al-Hassani, Salim T.S. “1001 Inventions – The Enduring Legacy of Muslim Civilization 3rd Edition. Washington D.C.: National Geographic, 2013. Allen, Stewart Lee. Coffee, The Driving Force in History. New York: Soho Press, 1999. Beautiful blog mashaAllah JazakAllah for sharing .